January - Our cabin survived the worst Coastal BC wind storms in years and I start experimenting with wood stovetop baking. February - We go to California to see Mt. SAC host PCIFA and Stick (our cat) flew north on Alaska Airlines to live with Mom in Bellingham. March - We explored our new U.S. home base in Bellingham before heading back to Powell River. We planted our floating garden and it was immediately attacked in the "Junco Wars." 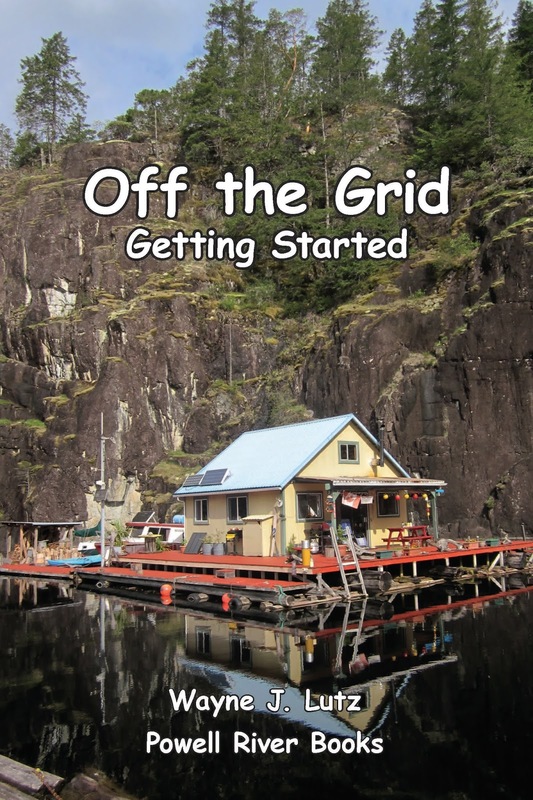 April - The PRB Blog had it's 1000th visitor and I start Float Cabin Living, a series to tell readers more about off-the-grid life. May - Our Piper Arrow 997 returns us to Powell River to enjoy spring up the lake, but so do a woodpecker under our roof and a bat in our propane storage shed. 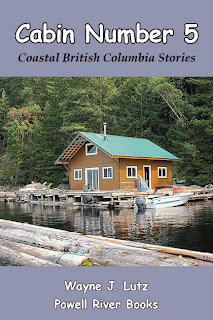 June - Up the Strait (the fourth book in the Coastal BC Stories series) is launched at Marine Traders, Halcyon Days heads back to the chuck, and Stick takes his first trip to the cabin. July - "Mr. Float Cabin" makes an appearance at the Sea Fair parade and we see our baby tree swallows take first flight. August - I trade in my trusty Honda 250 for a Kodiak 4X4 and we cruise the Georgia Strait in Halcyon Days. September -The PRB Blog is highligted on Sunset.com and TheSunshineCoast.com, and 997 wings us south on Victor 27. October - The Powell River Books Blog has its first birthday, it wins a second "Blog of the Day" award, we set up a book booth at the Powell River Newcomer Social, and fly 997 to Eugene for USC Football. November - Powell River Books is honored at the Horizon Business Awards, a woodrat devours our garden, and we enjoy early snow. December - The holidays kept us away from our beloved cabin and leave us BC Dreamin'. John's not only our good friend, he's also the "father" of our cabin. He almost single-handedly built it from the float up. It isn't the first one he's built, nor will it be the last. But if you ask us, it's the BEST! John is a wizard at making something out of nothing. Our woodstove drying rack is a case in point. We first met John after purchasing the cabin when he stopped by to meet the "fool Americans." As he walked around the deck, he pointed out several features that were unique or special. When he came to the woodstove, he pointed to the rack on top and said, "You never know when you might need to dry a pair of gloves or socks." And he was right, we just didn't know it at the time (it was the middle of summer and we were city-folk extraordinaire). Here's what he did. He went to a junk yard (or one of his brother's houses) and got an unwanted oven rack. The rack was exactly the right size to sit on top of the wood-burning stove. 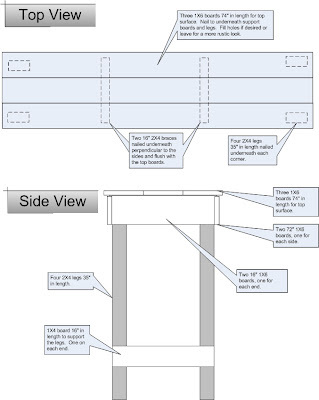 The metal projections below that once secured the rack in it's baking position made perfect legs to keep it about one inch above the stove's surface. 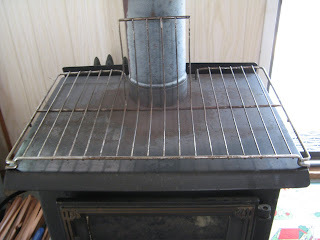 He used a hack saw to make two cuts on one side so he could bend a portion of the rack up to allow it to wrap around the stove's chimney pipe. In his wisdom, the now vertical section protects objects from touching the hot pipe. 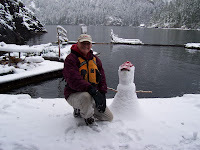 If you've been reading my blog or any of Wayne's books in the Coastal BC Stories series, you know who John and Bro are. But some of the other names in my T'was the Night Before Christmas rendition may not have been as familiar. One of those was probably "Captain Bob." Bob is a good friend and fellow quad rider. 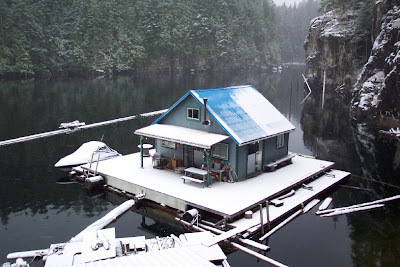 Bob has a cabin "up the lake," but is probably best know for his skookum boat. Like many other Powell Riverites, he is very self-reliant and able to build anything. 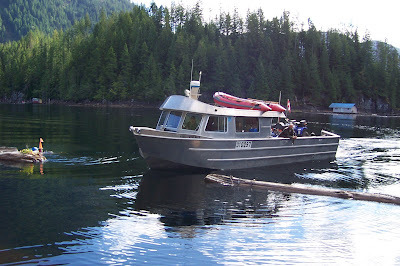 He started with a sturdy aluminum hull and custom made the cabin to create his own classic work boat. You can always tell when Bob is heading up the lake because his boat is one of the biggest and definitely has the largest aft deck. In it he can haul lots of logging equipment and workers, tree planters or students heading to Rainbow Lodge for a outdoor experience. You can also tell it's Bob's boat by the prominant red Zodiak perched on top. 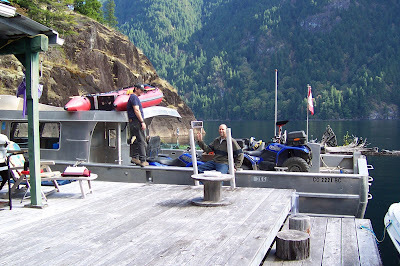 To those of us who ride quads, we also picture Bob's mightly boat hauling bikes to the head of Powell Lake for an excursion to remote spots few others get to see. Wayne and I were fortunate enough to meet up with Bob and some of his friends on one of those trips. Bob can fit quite a few quads and bikes in the back of his boat for such a trip. As far as a barge carrying eight quads, I used a little poetic license. But I did see another boat heading up the lake last summer doing just that. Not a creature was stirring, except a pesky little woodrat. In hopes that our friend John soon would be there. Went up to the loft for a cozy little nap (wink, wink, nudge, nudge). We sprang from our bed to see it blowing full bore. To see our sawhorse skid off the deck in a mad dash. And the clouds they went skittering through the nearby channel. But a boat and a barge with eight quads in the rear. We knew in a moment it must be a trip to the Head. All shouting and waving, so we called them by name! "Hi Poki! Hi Rick! Hi Doug and Bob! Hi Janie! Hi Dave! Hi Elden and Rob!" To the top of the lake! Past the Hole in the Wall! Now off we go! Off we go! A good ride for all! The screeching of brown bats, and then a resounding woof. There came Bro up the dock with a bound. A hoodie over his ears, so his eyes were all I saw. And stealing his sardines right out of John's pack. And there was John, stepping out of his boat. His jacket all buttoned, slipping on the mossy float. For his purpose in coming wasn't just to lollygag. And fixed the wind generator, never needing to ask. One for each and Bro if you will. And away they went right out through First Narrows. We stood on our deck and called in their wake. "Merry Christmas to you and everyone else down the lake." We flew back to Bellingham this week and had a delay in Seattle, fortunately a short one. But it brought to mind other trips that didn't turn out so simple. I'm used to the difficulties of airline travel, but traveling with my mother can make it a little more challenging. Mind you, she is a young 91, but getting through airports can be difficult. On one of her first trips to our float cabin on Powell Lake we flew out of LAX, just the two of us. We took Alaska Airlines non-stop to Vancouver where we had to transfer to a smaller Pacific Coastal Airlines plane. It was just before Christmas, so we encountered some weather delays getting out of LAX. When we arrived in Vancouver, the baggage was delayed. By the time we got over to the South Terminal, we missed the last flight to Powell River. What a mess! The Pacific Coastal gate agent saved the day. She called Alaska Airlines and made arrangements for us to get back to the main terminal where the Alaska agent gave us vouchers for an overnight hotel with free dinner and breakfast. You've got to know my mom. She grew up during the depression and anything free is very special. She thoroughly enjoyed her flying mishap and layover in Vancouver because of our "free" night on the town. In fact, I think she had more fun that night than our week's stay at the cabin (a whole other story). When we reorganized a downstairs bedroom at our float cabin we lost a lot of storage space. 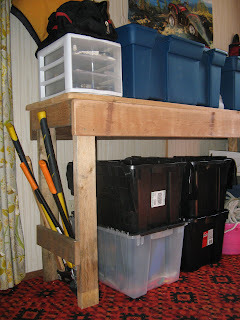 We talked it over with our friend John, and he built us a shelf to help maximize our remaining floor space. He used hand-milled, rough sanded lumber. We liked the look so much that we decided not to paint it. There's plenty of room underneath for six double stacked plastic bins and the top holds two more even larger bins. We store our long handled tools upright at the end. Living in a 20x21 foot cabin you learn to squeeze a lot into a little space. 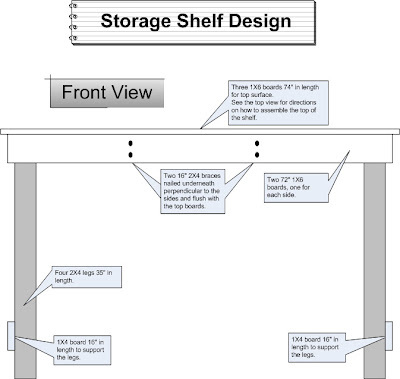 Looking for more storage at your place? Here's the design. The cost is minimal, you might even have enough lumber scraps lying around. 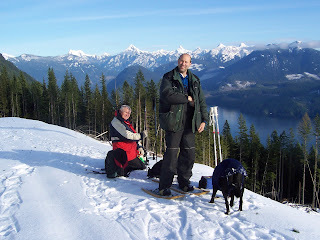 I've always had an affinity for British Columbia. Maybe it is my family's history of coming to the New World via Canada. Maybe it's because I spent many summers camping here with my parents, or more recently with my husband. Whatever the case, now that we've discovered Powell River, it is a place I want to call home. When I travel to someplace new, I always read several books about the area and its people first. 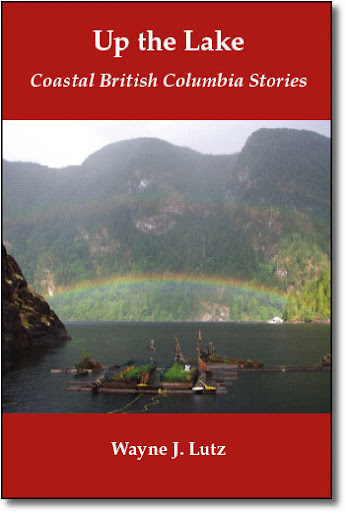 Even though it isn't new any longer, I've been reading about British Columbia for several years now. 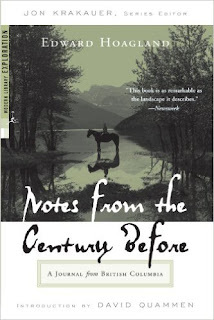 Here's a book I discovered that you might like if you are planning a trip to northwest BC. 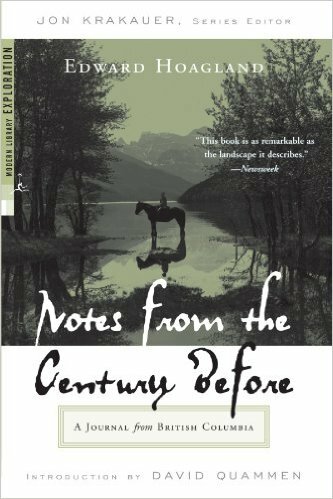 It's called Notes from the Century Before by Edward Hoagland. I found my copy during one of my used bookstore adventures. If that doesn't work for you, it is available from Amazon.ca or Amazon.com. In 1966 Edward Hoagland visited Telegraph Creek in northern BC. It's a small town (population 400) on the Stikine River, accessible then only by river through the panhandle of Alaska, by dogsled in winter or via bush plane. A combination of gold rushes, trapping and fishing helped the wilderness town survive even when the telegraph didn't. Hoagland lived in nearby Hazelton and heard stories about the Telegraph Trail leading to Telegraph Creek. He dreamed of taking that grueling trek for himself, but opted to arrive at Telegraph Creek via the more traditional river route. The land was still "very silent and wild," but not for long. Even though Telegraph Creek is isolated by it's remote geography, nearby logging and mining would soon take their toll. As a novelist, Hoagland wanted to tell the story of this rugged land and its people. He chose to write in a journal format since he would be using interviews and journals from original settlers as his primary source of information. The result is a book that chronicles his 1966 trip up the Stikine River from Wrangell, Alaska, conversations with the "Old Men of Telegraph Creek," backcountry truck trips to remote cabins to hear the stories of their hardy occupants, and flights into the yet unspoiled bush. 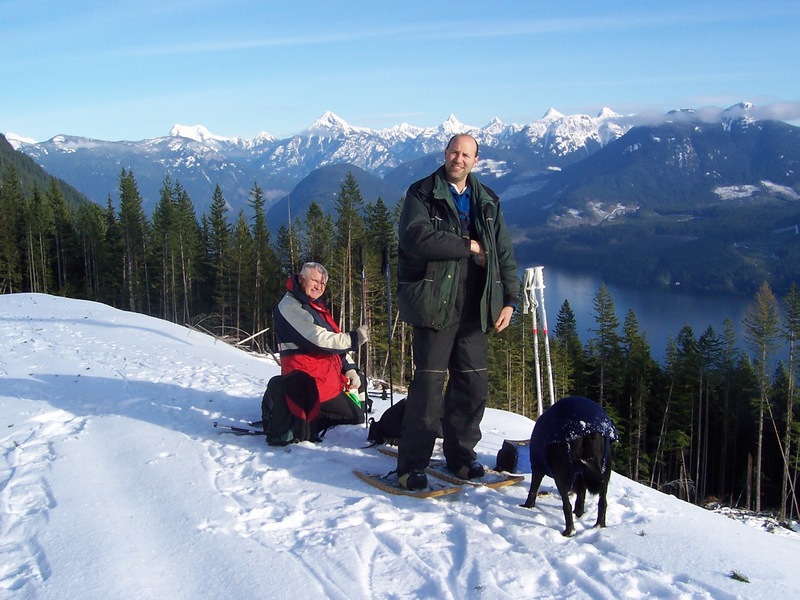 The Sunshine Coast Trail (SCT) runs from Sarah Point near Lund all the way to Saltary Bay, spanning the entire length of the northern Sunshine Coast. You can enter and exit at several points along the way. On a recent trip, we started our hike at the northern Wilde Road entrance to the Appleton Creek Trail. This section isn't actually part of the SCT, but links with it in about a kilometre. I forgot my cap, so I wore my quad helmet to keep my head dry, but it looked pretty stupid. After leaving the road, we hiked down to a small stream and one of the bridges built by the BOMB Squad (Bloody Old Men's Brigade). We all owe them a huge debt of gratitute. THANK YOU!! Then we climbed up through the hills along the quiet forest trail until the trail finally dropped down to Appleton Creek. We stopped for a rest at the picnic area before reversing course to return to our quads. It was a good decision. From the picnic area, it is a 2.2 km hike along the Appleton Canyon Trail to its junction farther down Wilde Road. From there it would have been another 2 km (all uphill) to the waiting bikes. 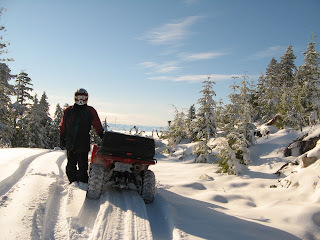 On our next hike, we plan to pre-position one quad at the lower trailhead. Then we enjoy the full hike, but have a ride uphill to our starting point. The best information can be found in a book written by Eagle Walz (the trail's founder) called The Sunchine Coast Trail: Hut to Hut Hiking. You can get it at Powell River Tourism on Joyce Avenue. To get to many of the SCT trailheads you need to use forest or logging roads. Extreme care needs to be taken because of active logging. The Western Forest Products 24/7 Hotline is a good resource at 604-485-3132. Are you looking for a winter vacation destination for this holiday season? What about Powell River, BC. Powell River is about 160 kilometers (100 miles) north of Vancouver on the Sunshine Coast. We go there in all seasons and love it. 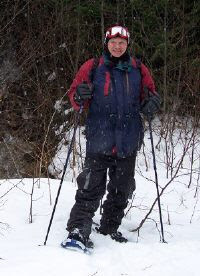 The winters are mild, but you can easily get to the snow for snowshoeing, cross country skiing or sledding. There are places in town for equipment including Powell River Outdoors on Marine Avenue, Canadian Tire and Walmart. The employees at these stores and Tourism Powell River can give you maps and details about places to hike and explore. 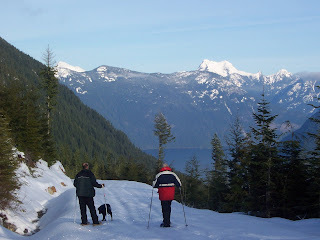 Because coastal areas are usually free of snow, you can hike year round. 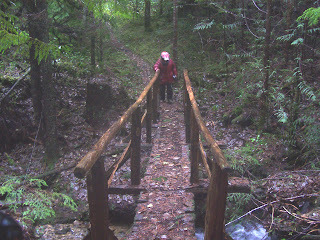 The Sunshine Coast Trail has several entry and exit points that make it a good choice for family hiking. 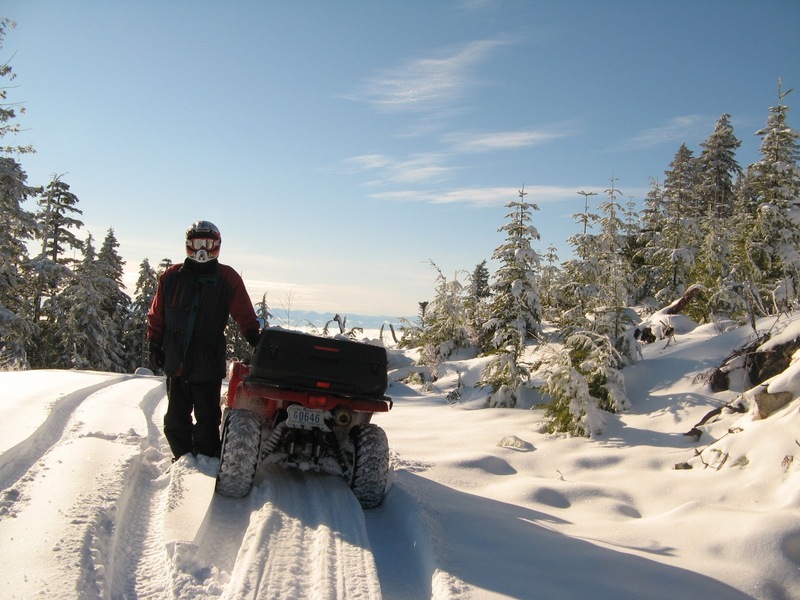 On weekends you can take your car or truck on forest and logging roads to see the pristine backcountry with old growth trees and uncrowded parks. There's also the ocean and Powell Lake for exploration. You can stay in town or at several resorts and bed and breakfasts along the coast. The Lund Hotel at the end (or beginning) of Highway 101 is quaint. It always amazes me how many great restaurants are in town. Some of my favorites are the Shinglemill with dynamite view of Powell Lake, Snickers on Marine Avenue with spectacular ocean and sunset views and the Town Centre Hotel restaurant and TC's pub. If you are north of town, don't miss lunch or dinner at the Laughing Oyster overlooking Okeover Inlet. To get to Powell River you get the chance to ride a BC Ferry from Horseshoe Bay. You'll travel through some really beautiful inlets on the BC coast along the way. You can bring your car or take the Sunshine Coast Connector bus from the Langdale ferry terminal. You can also fly to Powell River using Pacific Coastal Airlines from the Vancouver Airport's South Terminal. There are lots of taxi cabs and bus transportation if needed for the traveler without a car. 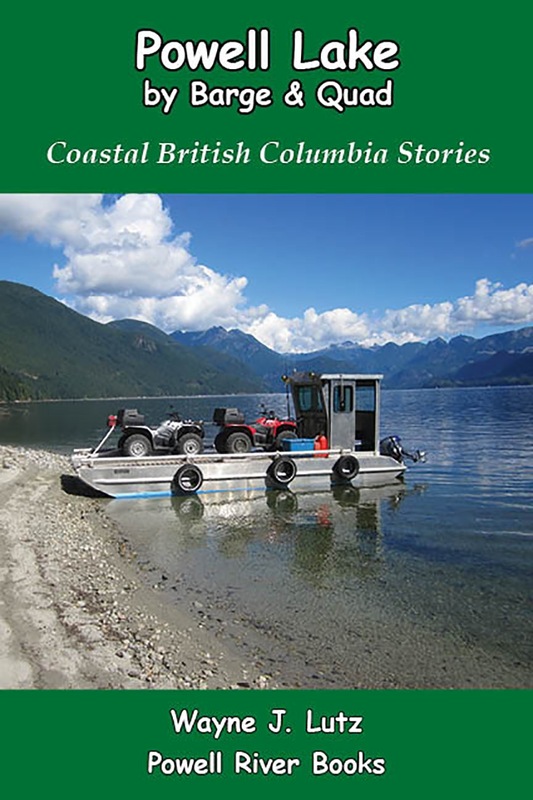 Wayne's book Coastal BC Stories: Up the Winter Trail tells more about winter activities in the region. 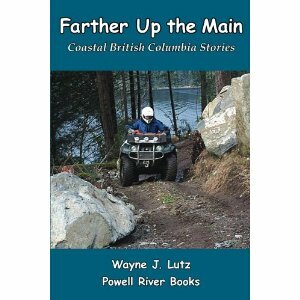 You can order it online at PowellRiverBooks.com, most online booksellers, or in town at Coles Books in the mall. 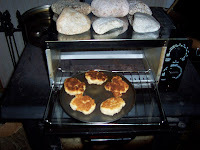 When I am making soup or chili for dinner on my wood stove, I like to make a quick bread to go with it. This recipe for baking powder biscuits comes from my trusty Fannie Farmer Cookbook. The following is a half-size recipe so I can fit it all on one pan in my my small stovetop oven. Mix the flour, salt, baking powder and sugar in a bowl. Cut the margarine into the dry ingredients with a pastry cutter, knives or fork until it is like a coarse meal. Add the milk and stir until blended. For an extra taste treat, you can add ¼ cup of grated cheese to the batter before baking. 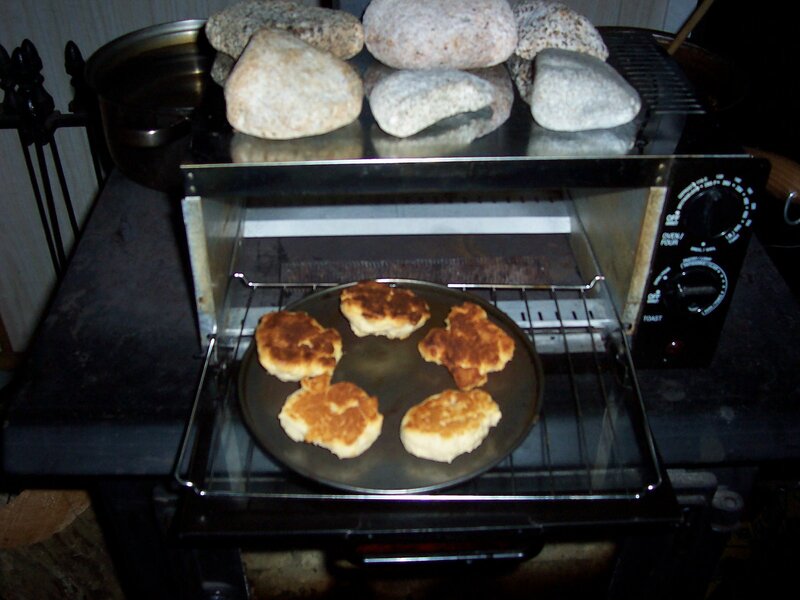 Drop the biscuits on a greased pan and bake 15-20 minutes in a conventional oven at 425 degrees or until brown. In my stovetop oven, it takes a little longer for the biscuits to bake. To get them crispy and golden on both sides, I flip the biscuits half way through the baking process.